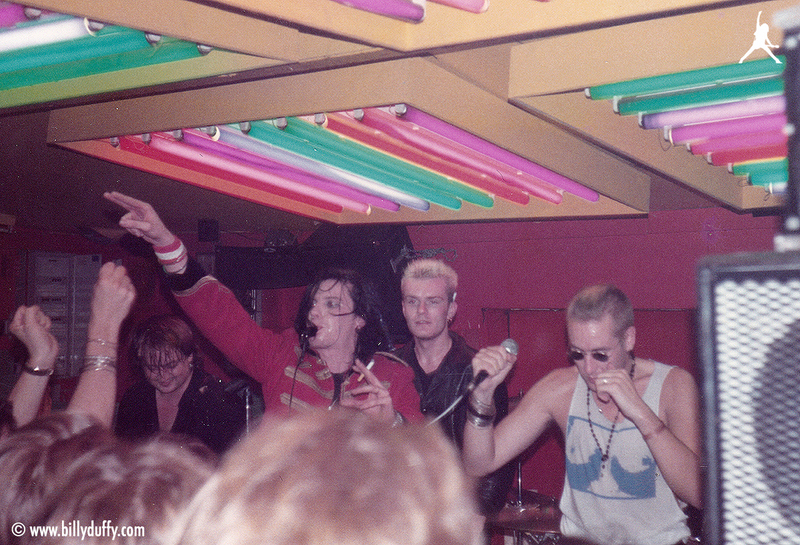 After the The Cult show at Markthalle in Hamburg, Germany on October 2nd 1984 Billy and Ian headed over to catch their mates Play Dead play a show at The Kir. "I can't honestly remember this at all but as there is photographic proof I obviously was there! What I would say is we were for sure very close with Play Dead socially and we used to drink a fair bit! A couple of other interesting facts... The Cult's first manager Si Ord took over managing Play Dead after we amicably parted company either late '83 or early '84. Plus their guitar player, who we affectionately nicknamed "Captain Pugwash", gave me the Triumph Tank badge belt that I wore a lot around the 'Love' album period as he was either a biker or hung with a lot of them in Oxfordshire (where Play Dead were from)."